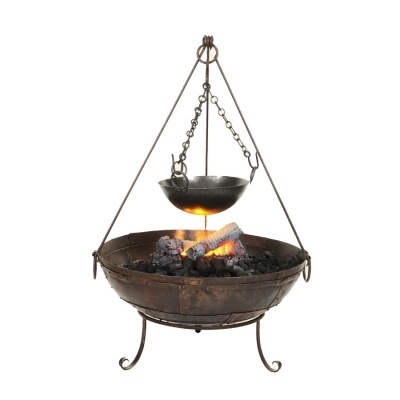 Kadai Firebowls Cooking Tripod (XM078-95) supplied to fit 70 or 80cm firebowls as an accessory to the Kadai Firebowl grill range, designed with legs that easily slot onto the top of the Kadai firebowl. 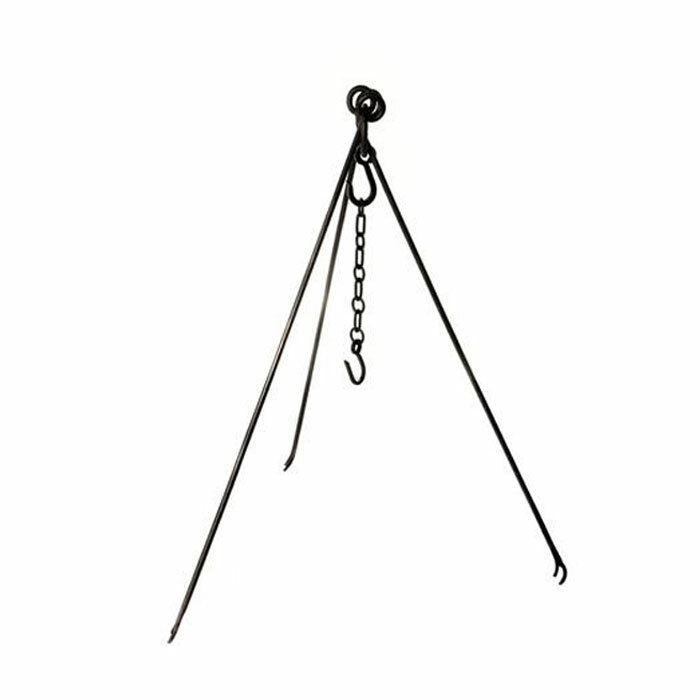 Tripod constructed from wrought iron, simply allows suspension of a cooking pot or kettle, at the chosen height over the fire using the adjustable chain. 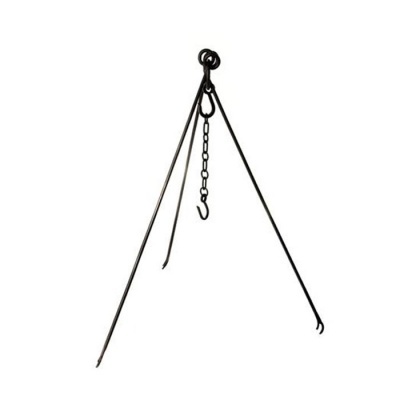 Tripod ideal for long slow cooked casseroles and curries, whilst freeing up the main grill for other use. 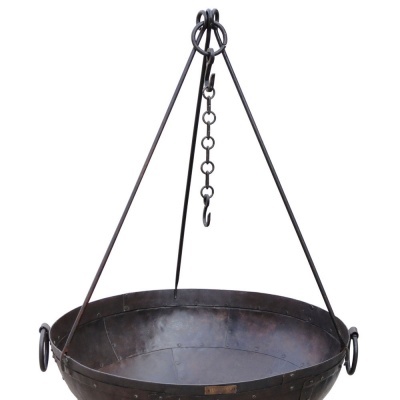 Use in conjunction with the Kadai Tripod Cooking Bowl or Skillet. 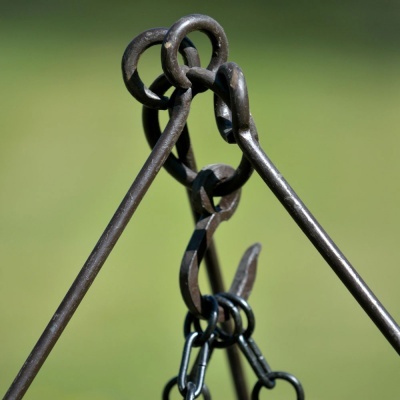 Kadai accessories have all been handmade with great care by craftspeople across Rajasthan. All have been thoroughly tested and supplied with instructions.